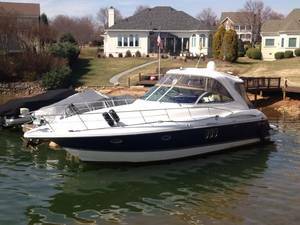 Thank you for visiting the website of to Boat Brokers LKN. We are a locally owned and operated business in the Cornelius, North Carolina Lake Norman area. If you want to sell your boat, buy a boat, or upgrade, we make it easy. We understand that every boater has different interests, different purposes, and different budgets, and we can find one suited to you. We emphasize quality in every aspect of our business, in new and used boats. Unlike many dealers, we are not obligated to any brand or type of boat, so you can be sure that we will find the right boat for you. Then, we will help you learn, or supplement your knowledge of boating basics, rules, and courtesy to assure that your time on the lake is fun and easy. We use our knowledge of and passion for boats to make you happy. Whether you wakeboard or waterski, fish or sail, play or party, we will help you make the most of your time on the lake!